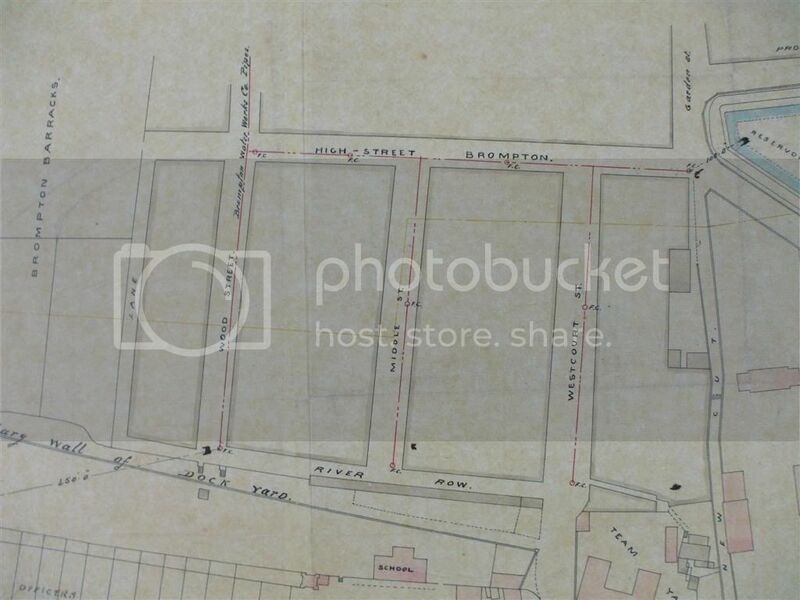 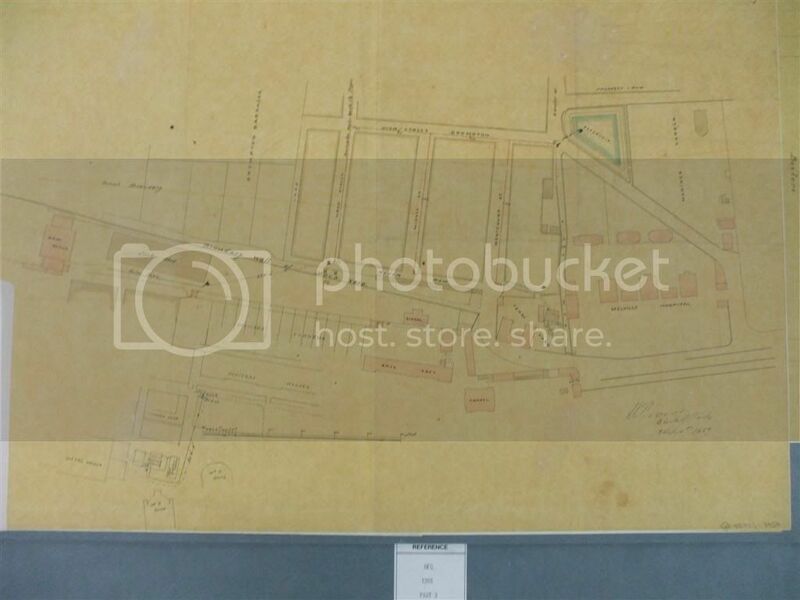 Also included is the proposal to supply water to various areas of Brompton and the Dockyard from the reservoir, this plan is dated 1889 (and still shows the proposed bore hole). 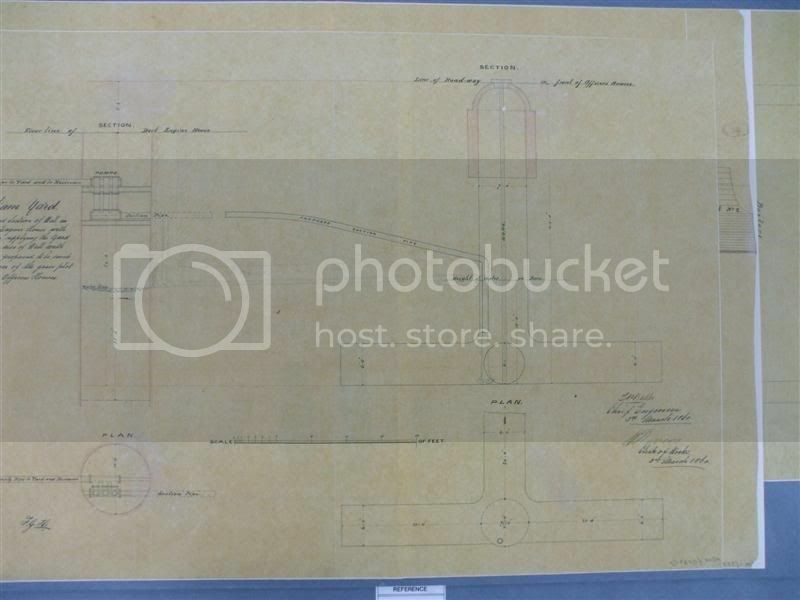 What's the date of these plans please kyn? 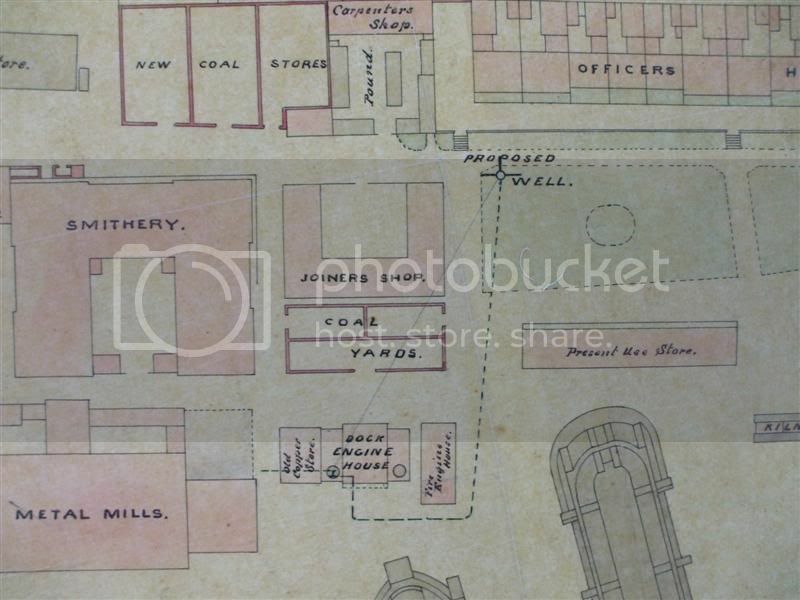 Plan and section of well in the Dock Engine House with pumps for supplying the yard with water; also of well with headings proposed to be sunk at the corner of the grass plot opposite Officers Houses. 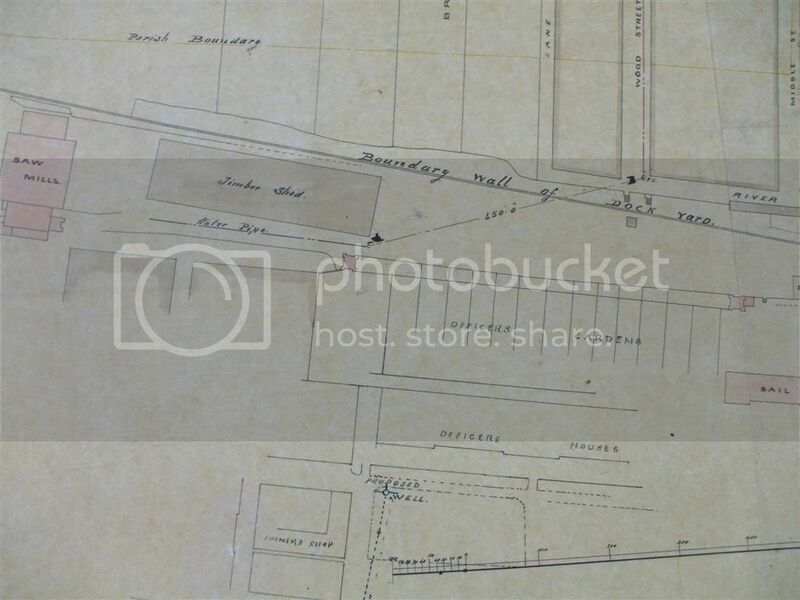 Part of plan of yard showing site of bore and section of ground from bore to No.2 Dock.